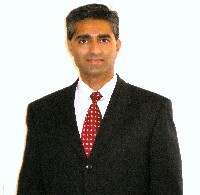 Mr. Walia has been in the financial services business since 1994. Mr. Walia received his Bachelor’s in Sciences from St. Stephen’s College in New Delhi, India in 1988 and subsequently pursued post graduate studies at Eastern Michigan University in Michigan, USA. After working in retail brokerage for a few years, Mr. Walia returned to New Delhi, India in 1995 and spent two years in New Delhi with Talisman Capital, a London based private equity firm. At Talisman, Mr. Walia was Manager Corporate Finance, performing due diligence and involved with structured finance. Mr. Walia returned to the USA and since 1997, has been involved with portfolio management for high net worth individuals and corporate accounts. During this time he worked with Morgan Stanley Dean Witter and Charles Schwab & Co.
Mr. Walia incorporated Continuum Global Asset Management LLC in 2004 with an objective to provide financial advisory services. Mr. Walia believes strongly in adequate and relevant communication with clients in order to understand client’s true needs and goals. In addition, educating clients is of extreme importance to the company, regarding various strategies and products to develop appropriate portfolios with strong client conviction. Mr. Walia’s endeavor has been and continues to be able to provide value in terms of managing risk and optimize total portfolio return.